After working for prestigious companies in Chicago and San Francisco, Hiroki Uchida has formed Hiroki Uchida Design Lab in Los Angeles, California. We believe that the principals of design are an enthusiastic study and a thinking to break an ordinary image of a space and an object. This concept directs us to focus on our goal; "creating a space that evokes people’s hidden emotions". Uchida’s design experience is diverse in types such as residential, retail and corporate designs, and the size of the projects ranges from a small restaurant to a large multi-use facility. We challenge to deliver a creative and unique design that fits to our client identity while seeking for an economical construction solution. 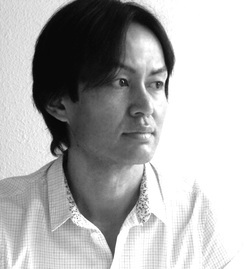 Uchida is a member of National Council of Interior Design and also has instructed as an adjunct instructor at Academy of Arts University and served as a guest juror for student works at The School of The Art Institute of Chicago and Academy of Arts University.